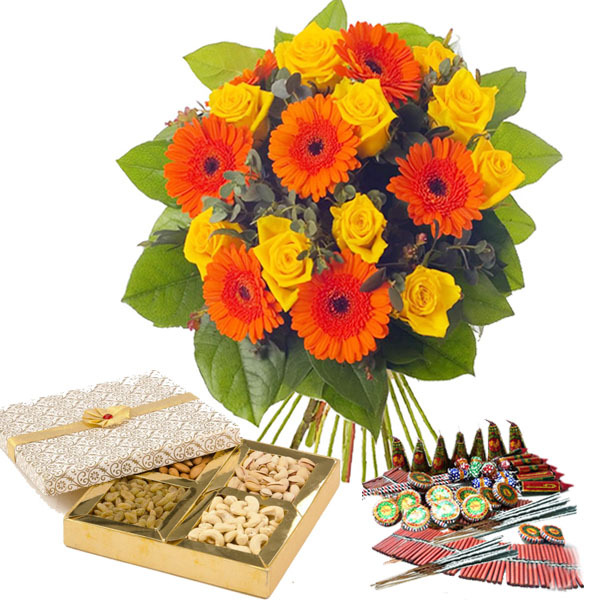 Product Consist : Bouquet of 18 Mix flowers like Roses and Gerberas with Box of Assorted Dryfruits (Weight : 500 Gms) along with Diwali Fire Crackers (Worth Rs. 300/-) (Note: Firecracker will be deliver as per their availability no specific choice for it). 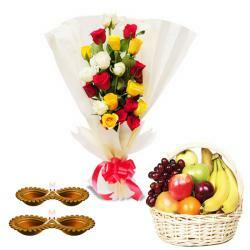 Sending dry fruits to someone is a gesture to show how much you care. 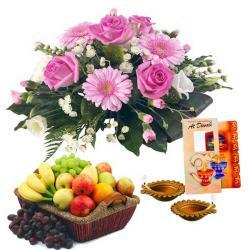 Dry fruits not only are a rich and tasty gift but also they provide with health. 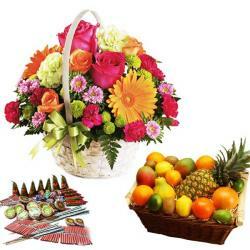 So we have put together delightful dry fruits in this hamper along with bouquet of eighteen mix flowers and assorted Fire crackers to make this hamper perfect as a gift for festivals like Diwali.Product Consist : Bouquet of 18 Mix flowers like Roses and Gerberas with Box of Assorted Dryfruits (Weight : 500 Gms) along with Diwali Fire Crackers (Worth Rs. 300/-) (Note: Firecracker will be deliver as per their availability no specific choice for it).